Bankwest has launched a national campaign for its business banking division targeting business decision makers such as business owners, CEOs, CFOs and directors. Real customers and staff from Western Australia, NSW and Victoria star in the ads under the campaign name ‘In Good Company’. 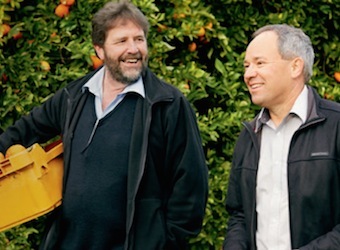 Hero of the campaign is a series of video testimonials from clients such as a Domino’s Pizza franchisee, Hornsby Automotive Group, Sushi Sushi, and Bunbury Farmers Market (pictured above, video below). Paul Vivian, general manager of customer communications and brand, says the campaign is aimed at demonstrating how Bankwest delivers on its business banking value proposition through the stories of our customers. “It signals the commitment of the brand to the business community as Bankwest continues to invest in developing its brand, its people and its capabilities,” he says. The campaign will run for 12 weeks from 19 October 2014.